The other day I had the pleasure of conversing with the extremely talented Dan O’Brien. He is an editor, writer, and publisher. Saturday, April 26, O’Brien will be a workshop leader and panelist at the WordFire creative writing conference, hosted by Butte College. Before O’Brien became the founder and editor-in-chief of Amalgam Publishing, he was a freelance editor and had written 15 novels before turning 30. At this year’s Wordfire conference, O’Brien will be speaking on self-publishing and his role as an editor. Chloe Butcher (CB): Any one of your achievements could be considered a great life accomplishment, can you tell me about where all the inspiration and love of writing began? Dan O’Brien (DOB): I always wanted to be a writer. When I was about six or seven, I wrote a play for my cousin. It had set pieces and a complete story with little characters on Popsicle sticks. For whatever reason, writing and storytelling has always been a part of me. I can’t imagine doing anything else. CB: Some authors have trouble writing even one novel, what motivated and inspired you to write 15? DOB: For a lot of writers, even those who struggle to finish one, having plenty of ideas is not the problem. I have a very disciplined approach to writing and I often work on another book when I get blocked on any particular story. I am putting out several more this year. I just love to write. CB: In all the different jobs that you’e held, is there a role you feel more comfortable in or like more than others? DOB: In the end, I’m a writer. I love ghostwriting and editing, but helping others publish their work is a wonderful feeling. I started a northern California quarterly publication, so I get to help publish while still being an editor. We’re accepting submissions right (wink wink). CB: What caused you to make the leap from writer to publisher? DOB: The feeling of helping others publish is addictive. When I worked at Empirical, I realized how wonderful it was to be able to publish the work of others. It stuck, what can I say. O’Brien’s “Self-Publishing” workshop will cover publishing your own book, marketing tips, and a Q&A on how to be effective at getting your book out there. To read up on the other workshops and presenters at this year’s WordFire conference, or to register, please visit: buttewordfire.org. 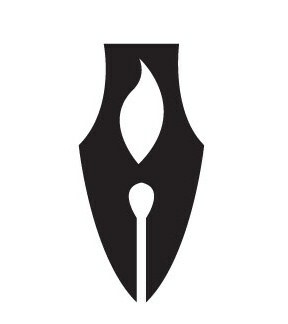 If you are interested in submitting fiction, nonfiction (both under 5000 words), or poetry to Amalgam Writers, please visit: www.amalgamconsulting.com.